White tea is an ancient type of tea. It was once a rare and treasured tea reserved for Chinese royalty. It is made from the same tea plant, Camellia sinensis, used to make green and black teas, but uses special white tea varieties, and is minimally processed. 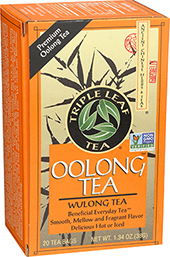 Triple Leaf Tea’s White Tea is from the Fujian province of China. Since ancient times, white tea was produced there because of its ideal climate for processing white tea. 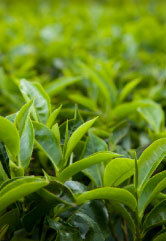 Our tea is made from the tender, top grayish green leaves. White tea gets its name from the appearance of the top silvery leaf buds that are covered in a fine silvery-white down. 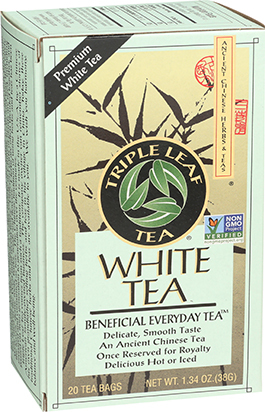 Triple Leaf’s White Tea starts with high quality tea, selected carefully and packed in tea bags. 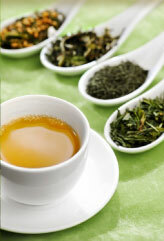 Considerable interest in white tea has contributed to its increasing popularity as a refreshing, caffeinated tea. Our White Tea has a light color, and a smooth, mild taste. Enjoy the experience and taste of drinking white tea with this traditional white tea. It is delicious hot or iced. Experts recommend drinking three or more cups of green or white tea a day. For additional support, drink any of Triple Leaf Tea Green, Jasmine Green, Decaf Green, Oolong, or Cholesterid–Pu-erh Teas. HOT TEA: Bring 1 cup of water to a boil. Remove from heat, then pour over a tea bag. Let steep 3-5 minutes. Remove the tea bag, squeeze gently into the cup. ICED TEA: Bring 1 cup of water to a boil. Remove from heat, then pour over 2 tea bags. Let steep 3-5 minutes. Remove the tea bags, squeeze gently, then add ice. 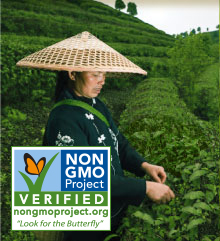 To extract more of tea’s benefits and more flavor, steep longer. In Chinese tradition, white tea can be re-brewed.